Looking for a Beach Hut for Hire in the UK? I love nothing more than spending a day at a beach hut and if I get the chance to when holidaying, then I’m one happy lady!! Having spent hours visiting, researching and reading reviews for my own holidays, it only felt right to share my Britain’s best beach huts for hire list with you. You may be looking for a day out whilst holidaying across the UK, or you may be looking for an unusual gift for a family member or friend. You may even already live close to one of these coastlines. 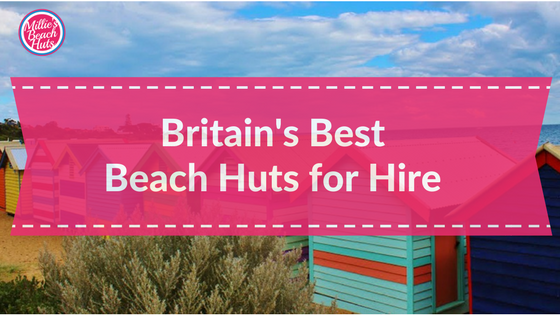 Whatever situation you are in, grab a cup of tea and settle down for a few minutes to read about Britain’s best beach huts for hire. These really are the best the UK has to offer and you won’t’ be disappointed if you do decide to book. I’d love to hear all about if you do – just pop a comment at the bottom below. **Please do remember most Beach Huts book months ahead, particularly if linked to accommodation booking – don’t be disappointed and make sure you book early, many will accept deposit payments. No definitely not a shed it’s an oasis by the sea to sit and take a breath and absorb the views sounds and smells of the sea. Its much needed escapism and can be as comfortable and special as a home. Memories to be treasured for ever. George A Lina. 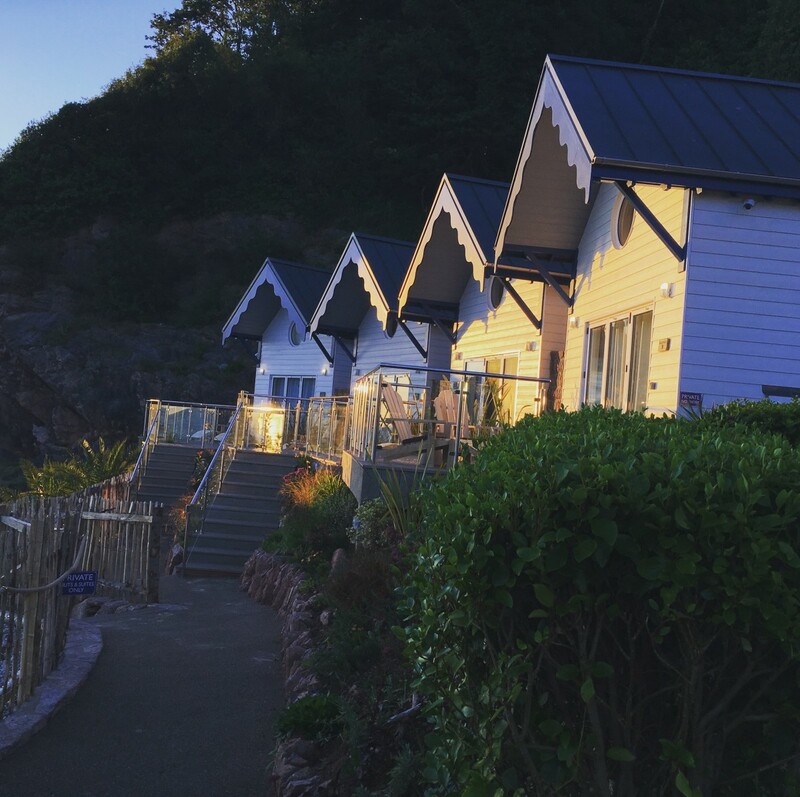 #1 Cary Arms – Babbacombe, Devon. One of the newest additions to the beach hut family can be found at Cary Arms Inn and Spa, near Torquay. Situated on a small pebble beach these 6 exclusive beach huts opened in July 2016 and attracted significant press attention. Sleeping 2 guests on a large sumptuous bed on a mezzanine floor, I could have just stayed in bed for 2 days when I spent a weekend at these huts in August 2016. You can read my full review HERE. Impeccable design with panoramic views from every seating and sleeping space and stunning views. You won’t be disappointed by the style or space that they have to offer. Beach Huts available all year round at £375 (Beach Suites also available). One dog-friendly beach hut available. Two beach huts available for hire in a beachfront setting overlooking fishing boats and Shaldon’s famous red sandy beach. The decor is spotless and the beach huts have featured on George Clarke’s Amazing Spaces and Countryfile. With the ability for 2 or 4 to sleep over, the huts come with a lot of mod cons including under-floor heating, power showers, kitchen, bathroom, TV and DVD players and free wifi access!! Self-catering from £110 a night, minimum two-night stay but note that no pets are allowed. More Information and booking – 01803 213814 or shaldon-devon.co.uk/Shaldon-Beach-Huts. You’ll find a boating lake, restaurants, gift shops, amusements, Punch and Judy all within a few minutes walk to the beach hut. If you haven’t visited Southwold then I’d thoroughly recommend for both a day trip or longer holiday. It’s the perfect location for one of Britain’s best beach huts for hire. With several huts available for hire, you can hire as a group or individually and as all of the huts have mains electricity and you’ll find a kettle, fridge, heater and microwave in each hut. The beach is sandy and soft and miles long. Offering fantastic views but only a few minutes from the town and local sightseeing. Just ten minutes away you’ll find Fairhaven Lake featuring life the impressive life-sized replica of the Spitfire VB and various activities including motor boat hire. 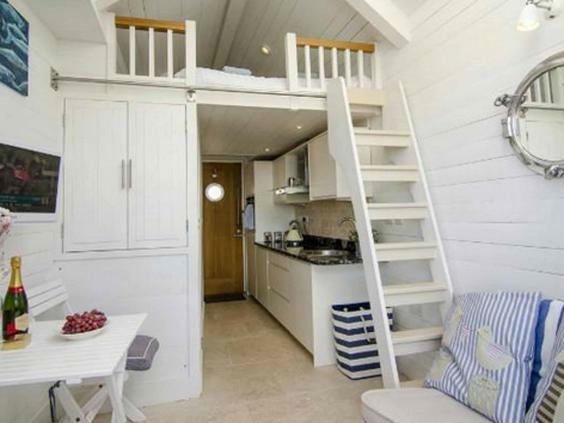 You can combine your beach hut hire with a stay in one of St Anne’s gorgeous beach apartments – why not make a weekend of it? A top tip for you – If the beach hut is already booked on your chosen date (they do sell out months in advance, you can join a waiting list). From £65 per day up to 10 guests. While some may argue these go beyond a beach hut, it wouldn’t feel right not to include these 15 beautiful beach Lodges which were built and launched during 2017. They are firmly on my ‘must stay’ list and I know all beach hut lovers will have them on their bucket list too! These contemporary beachside lodges are only a few steps away from the soft, beautiful sands of Bournemouth beach and offer cosy accommodation for up to four adults and two children. Each lodge is fitted out with their own fully equipped kitchen and bathroom. Dogs are welcome and there is also one accessible Lodge, with access for a wheelchair user, throughout the ground floor area, so everyone can enjoy the perfect break by the sea. You can book a self-catering holiday for three, four or seven nights all year round. Only accessible through a rock-cut smuggling tunnel and across a beach by foot, this is one of the most interesting of Britain’s best beach huts for hire. With the exceptional home comforts on offer, I think I’d like to move in! With one double bed and bunk beds. there’s even a fireplace if the weather isn’t quite on your side. 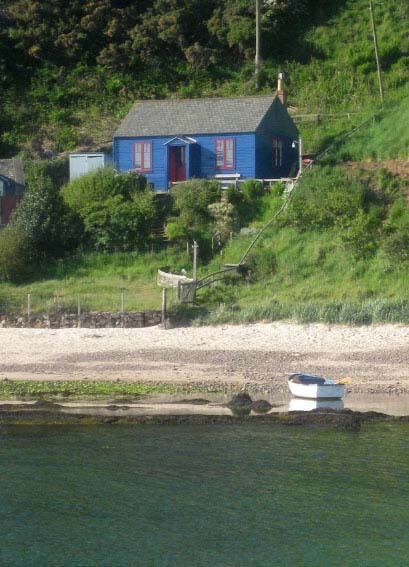 Surrounded by some of the finest and most interesting natural and man-made beauty in Scotland, you won’t be surprised that the Blue Cabin featured in Scotland’s Top 100 Self-Catering Guide. From £550 per week, sleeps up to four. More Information and booking – availability online via bluecabinbythesea.co.uk but you can call or email to book: [email protected]. n.b. Beach Huts in Scotland have been hard to find, though being a Scot, I wasn’t going to give up! I’m hopeful that there is just a lack of information available online and was excited to see ‘beach huts’ renovated near The Kelpies. Whilst they don’t’ seem to be available to hire, it’s well worth a visit to see both The Kelpies and these gorgeous ‘huts‘. 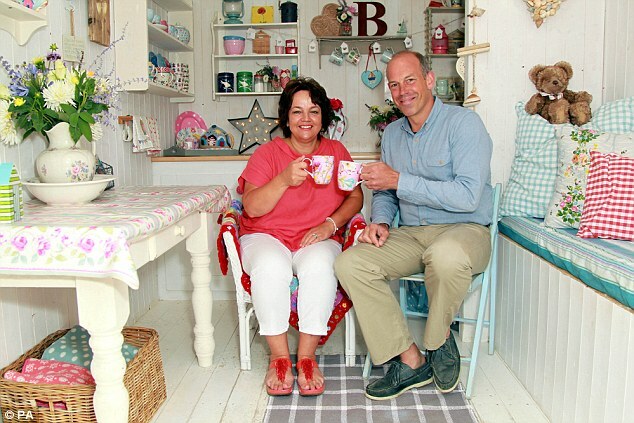 We couldn’t have the best beach hut to hire list without including Betty. The 2015 Towergate Beach Hut of the Year winner. Betty featured in our previous blog on the Best Beach Huts to Hire in Essex and is such a deserving winner. We love her decor and shabby chic style. You’ll find all the contents are sourced from local charity shops or handmade by her owners. For daily hire only (no overnight stay) and no electricity or water, you’ll find a water tap nearby. The beach hut has a gas cooker or you could always order a picnic! Daily hire circa £60 with reductions for consecutive bookings. 8 people max. More Information and booking – thelittlebeachhutcompany.co.uk. A stay in Mudeford is a ‘Bucket List’ item with the beach hut sales fetching a £200k price. 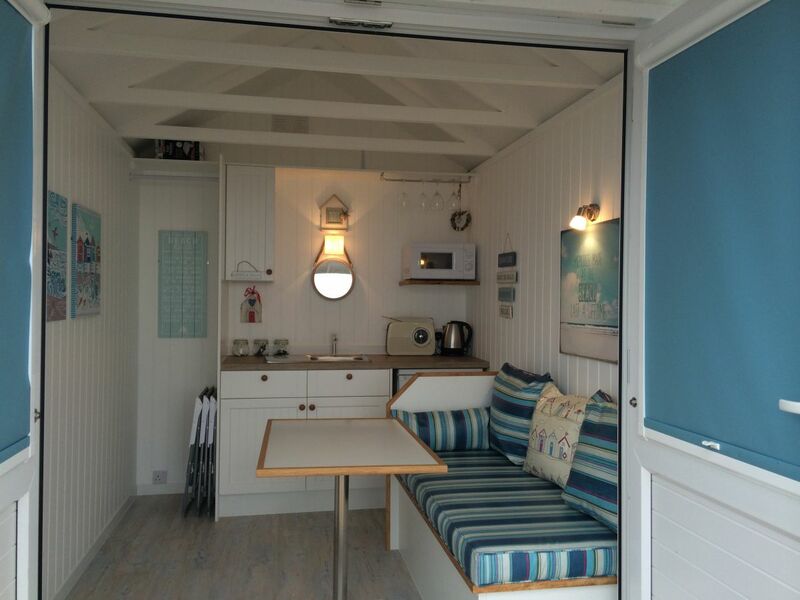 Though the beach huts are privately owned, many are available to hire including this refitted 2013 beach hut. It comes with a fully equipped kitchen, gas cooker and fridge, a sofa bed that sleeps two and a loft sleeping three. With the simple decor, white walls, light wood floors, and wooden steps leading up to the cosy top floor, the owners have gone one step further adding a beach table, barbeque, bikes, deck chairs and beach games. One week’s rental from £600. More Information and bookings – 07730 732156 or via their website mudeford-beachhut.co.uk. Still searching for that perfect Beach Hut for Hire? If you haven’t found a beach hut in the area you are looking for then do read my blog on “where can I find a beach hut for hire”. Along with the obvious answer of ‘googling,’ it has lots of ideas to help you find those beach huts who may not have individual websites or facebook pages. 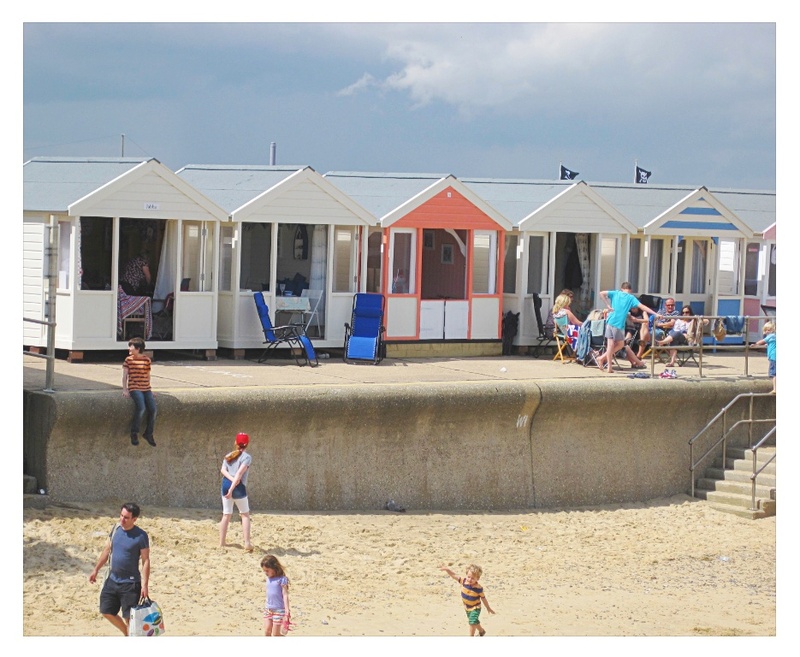 Or if you are a little closer to Essex, you can also find my full list of Best Beach Huts for Hire in Essex HERE and ideas on where to stay HERE. But if you are a beach hut owner, who holidays at other beach huts! Who’d have thought? I knew I wouldn’t be the only beach hut owner who scours the UK looking for holiday ideas. If you do own your own Beach Hut then pop into the only dedicated Facebook group for UK Beach Hut Owners. The group is growing and very friendly. Pop in and let us know where you are searching. 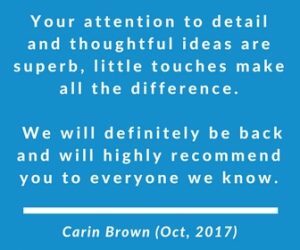 We may be able to help and provide some advice around your own hut or for holiday inspiration! Or just chat, we do like a chat! We own a beach hut in southwold. Jabba the Beach Hut. It is 2 years old and beautifully equipped. We have had a secession of bookings with it in peak holiday season. We’d like to see more bookings non peak. We are dog friendly of course. I’d like to understand what you think about our hut. I do advertise it along with our agent with our self catering cottage a mile away. Plus with beach huts.com and beach huts 4 hire.